Just after releasing the Lenovo Vibe X smartphone, the company has also an announced a tablet to go along with it – the Lenovo S5000. 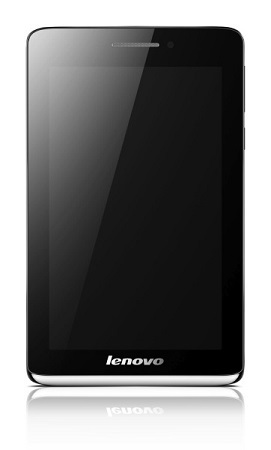 The Lenovo S5000 has a thin prolific design with a thickness of just 7.9 mm, which is less than the Nexus 7. The device has a 7 inch display with 1280 x 800 pixels resolution. The tablet is powered by a 1.2 GHz quad core MediaTek 8389 processor along with 1 GB of RAM and 16 GB of internal storage. The Lenovo S5000 is equipped with two cameras – a rear facing 5 MP camera and a front facing 1.6 MP camera. The tablet will run on the Android Jelly Bean OS with a 3450 mAh battery, which promises up to 8 hours of continuous usage. The Wi-Fi version of this tablet would be priced at EUR 199 while the 3G version would cost EUR 249.